More than anything this experience is something that had a full and complete life. 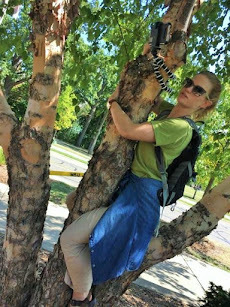 It started with an idea, a planning process, and it saw a successful end. I had the idea a long time ago to have a small women’s health workshop here in my town. This is a pretty common project for volunteers here, especially female ones, who care about women’s health. Jolie started talking to me early this year about having a workshop together. Just when she said this I met my two friends, Soukaina and Khadija, who are nurses and asked them if they would be interested in helping us out. They were, so that is where the project was born. I could kick myself for not blogging through every part of this process to show the ups and down, successes and obstacles, but I can’t go back now. Stay tuned and I will break down the process here with details and a time line. 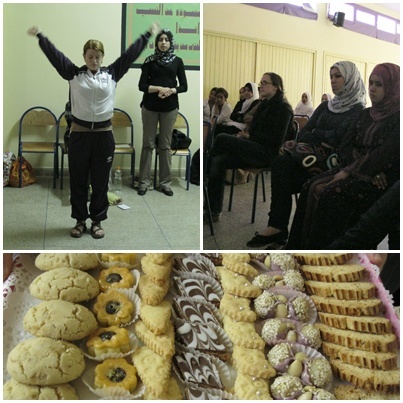 But for now please enjoy these photos of our Women’s health workshop that was very successful. 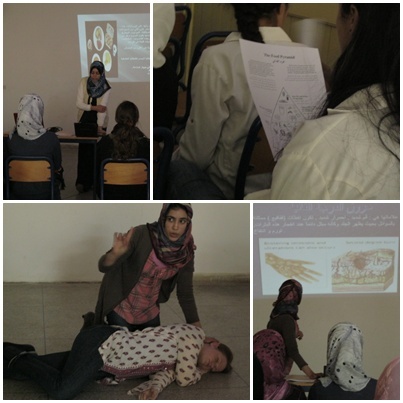 Clockwise from left: Soukaina gives her presentation about nutrition, a participant looks on at her food guide pyramid, Khadija demonstrating the recovery position, Khadija teaching about burns. Me showing how to warm up your shoulders, some of our participants looking on, one of our beautiful trays of cookies (Thanks Saida for making them, and thank MaryAnn R. for providing the funds!). 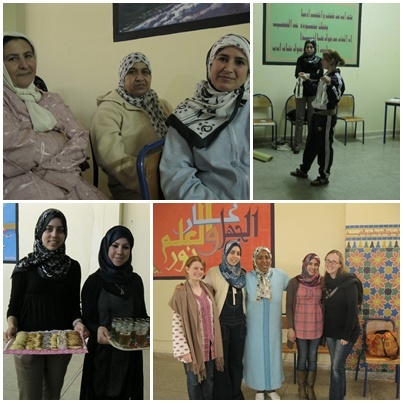 Some more of our participants, me demonstrating using water bottles as weights, serving tea and cookies at the end, our planning crew, (myself, Soukaina, Saida, Khadija, Jolie).